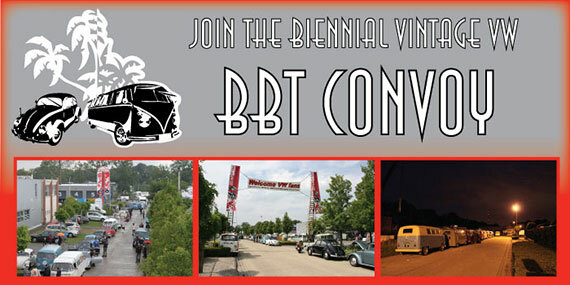 BBT Convoy registration available now! 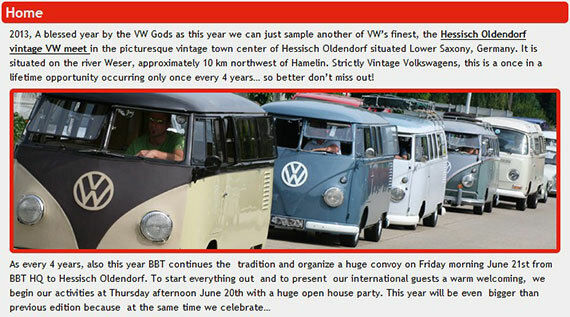 2013, A blessed year by the VW Gods as this year we can just sample another of VW’s finest, the Hessisch Oldendorf vintage VW meet in the picturesque vintage town center of Hessisch Oldendorf situated Lower Saxony, Germany. Strictly Vintage Volkswagens, this is a once in a lifetime opportunity occurring only once every 4 years… so better don’t miss out! So EVERYBODY is highly invited to celebrate with us!